Welcome to the weekend, ladies + gentlemen! Hopefully your week flew by + this post is finding you well. I wanted to showcase more of my fantastic sponsors. The following two ladies will also be upcoming contributors to Teach Me Something Thursday, and will be an integral part in something huge that will hit the blog in November. The Sapphire Bee celebrates a love for fashionable living with modern pieces that have a twist of Victorian flare. First conceptualized in 2010 with the official online boutique launching in late 2011 as my entrepreneurial spirit and love for the handmade movement grew. Armed with an appreciation for designer brands, creative styling and affordable DIY fashion I have created an inspired collection of eclectic accessories. What started as a hobby quickly grew and as dreams cultivate and change, the ideals that The Sapphire Bee were founded on stay the same -- a girl lovingly hand-making beautiful accessories for everyone to enjoy. When not working on dazzling jewelry, you can find me on my blog where I share recipes, DIY projects, my photography and little pieces of my life! You can also find Brittany + The Sapphire Bee over at her blog, Twitter + Facebook (when you “like” the page, you get an exclusive discount). Hello world! My name is Sarina. 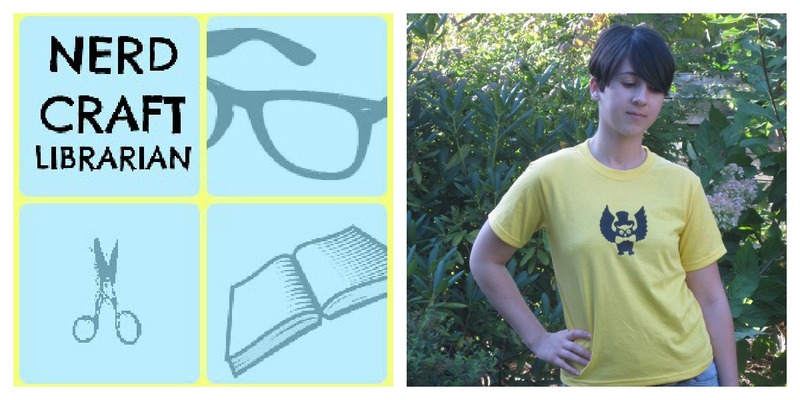 I am also known as, the Nerd Craft Librarian. These three little words not only describe me but also the sorts of things you can find on my blog! 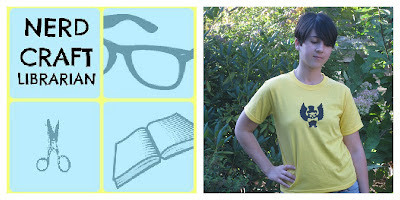 Topics range from geeky discussions, crafting tutorials and my life as a children's librarian. After consuming much of these subcultures I decided to through my hat into the ring and contribute my own brand of whimsy and thus the Nerd Craft Librarian was born! Aside from blogging I enjoy being with my sidekick (husband) Tim and our four-legged furry baby (dog) Gypsy. Stop on by and check out my wacky adventures! You can also find Sarina on Twitter, Facebook + Pinterest.